CSS-Tricks always has informative articles about new CSS features and methods, as well as an ever-evolving ‘almanac’ of CSS selectors and properties and how to use them. CSS-Tricks has got to be, hands down, one of the most interesting and useful resources on the web I have ever found. As CSS has evolved, so too have the methods of doing things, and CSS-Tricks keeps you up to date with the latest. 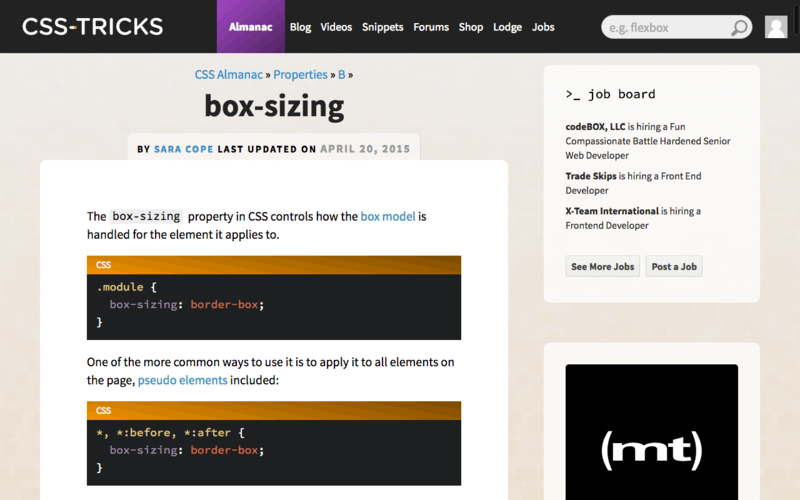 The site also has an ‘almanac’ feature, where you can lookup CSS selectors and properties. They then show you how to properly use the selectors and properties to achieve the results you’re looking for. A handy feature of CSS-Tricks is the Almanac section which contains all of the CSS selectors and properties and a short tutorial on how to properly use them. There are also forums available where you can discuss different methods, ask for help, or just to discuss all things HTML+CSS. 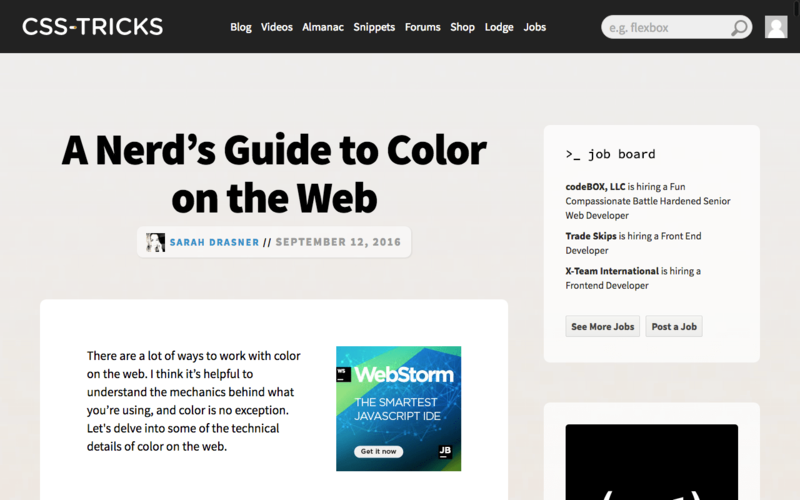 This entry was posted in Show & Tell and tagged CSS, tips, tricks, tutorial, usage. Bookmark the permalink.